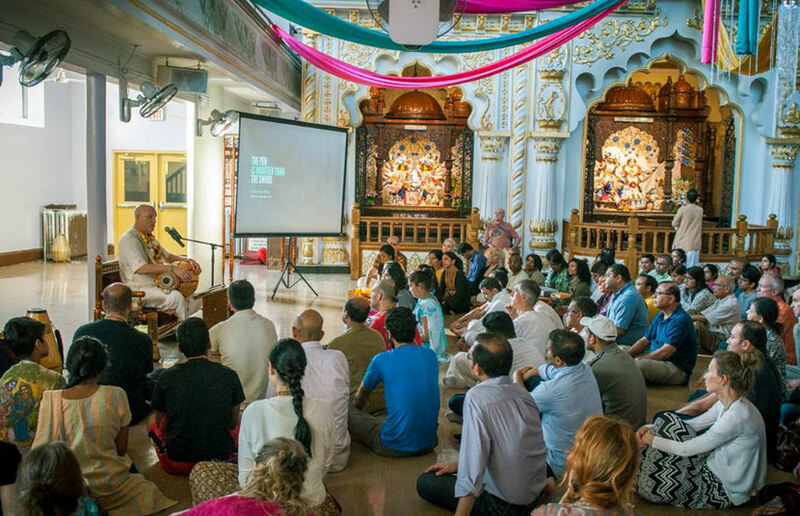 Festival Report: Sweet Rice Festival ~ The Toronto Hare Krishna Temple! Sweet Festival of Sweet Rice! 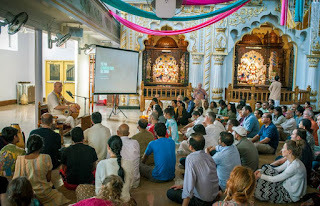 On Sunday, May 22, 2016, the Toronto Hare Krishna Temple celebrated the annual Sweet Rice Festival in honour of their Lordships Sri Sri Radha Ksira-Chora Gopinatha. The evening started out with a nice aarti ceremony for the Deities, who were effulgent in their summer outfits with pops of colour everywhere. Following the arati, the program gained momentum with an amazing lecture and electrifying kirtan given by Vaisesika Prabhu. In his lecture, Vaisesika Prabhu illustrated the story of Madhavendra Puri who was a dear devotee of Lord Sri Krishna. The famous story is that Madhavendra Puri was in Remuna, a holy place in India where he was taking darshan of the Lord Gopala. Here he observed that daily sweet rice was being offered to the Lord. One day, Madhavendra Puri thought to taste the rice and make a similar preparation for his own Deity. Upon seeing his devotee's immense love the Lord himself, lovingly stole a pot of sweet rice for Madhavendra Puri. After many centuries, we still continue to be enchanted by this sweet past time and powerfulness of sweet rice pradasam ! Inspired by the story of Madhavendra Puri, devotees gathered a sung with love and devotion during the splendid arati ceremony amidst resounding kirtan. The night concluded, with the simple message of love and everyone left empowered by the power of a vegetarian feast (prasadam).